Beda HP -- Currently the size of a smartphone to be bigger and better, as well as a built-in camera of his. 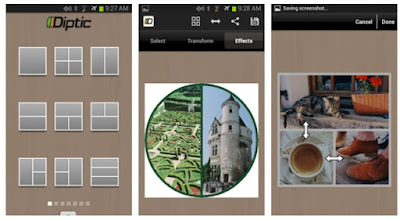 With many image editors available for Android, bringing you do not need to transfer all the pictures / photos from your android device to a PC or laptop. If you want to edit images or edit photos directly from your android, then here's a list of photo editing apps for android are of course free, Enjoy. Read more see also previous articles on: 15 applications for facial makeup HERE. 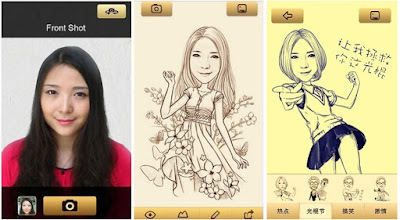 Do you want to create nice cartoon figures from your camera? Don’t wait! Life is beautiful as MomentCam is wonderful. 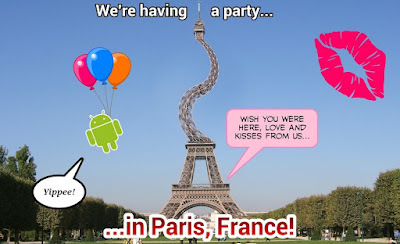 MomentCam is the first camera in the world interpreting pictures into cartoons. You want to see self at the Moment World, download MomentCam and let it surprise you. Every time you try, you meet another self, with humor, charm or just a life in your dream. Come to have to fun with MomentCam, it will make your life different. This is great Android app!. What's New on version: 150 cartoons to choose to shock your friends with love and fun. And don't worry, we kept the classical ones at your choice. Solved bugs. Camera 360 is a photo editing application with complete features than others, have been used by millions of people and proved still left. 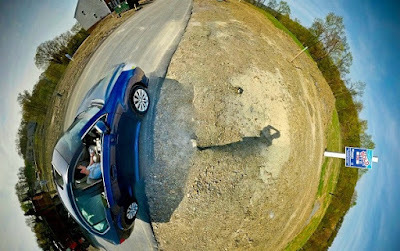 Camera 360 is available in two options, the free version and the paid version, but in our opinion, is also a free version is enough for us to be able to produce images that are super creative like the photo above. 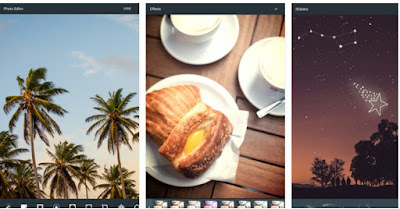 Initially the now famous Instagram is an application exclusively for iOS only (iPhone, iPad, iPod), but along its development, Intagram also be used on the Android platform. 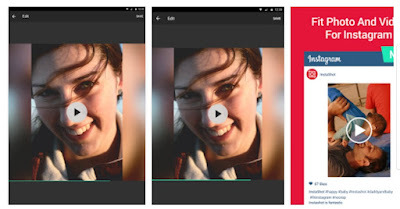 Even now there Insta Video that allow you to merge several videos into one frame / frame. The photo will be uploaded to various social media fame as a instagram, etc. Using Instavideo really interesting and very impressive. Writing outpouring of the heart is the most common thing to do in social media, hmmm wrote outpouring of the heart over a suitable photo would be great idea! Phonto is an application that can make it happen. 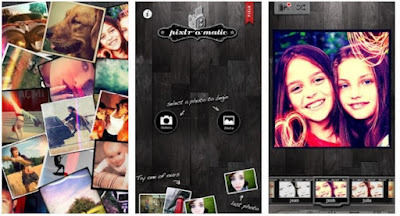 Phonto a photo editing application giver text on your photo. You can choose the font and font color of the writing that appears on the photo of your choice. Navigation is also very easy to learn, I think this is the best photo editing application for those who want to write outpouring on an image. Diptic can combine two or more photos of you as shown in the picture above. In addition Diptic also used to make Avatar popular social media photo into a framed round, X, etc., as sreenshot above. Photos with friends so much slang, you know if you wear this one application, narcissism can also be maximized. You can photograph a lot and combining them like a picture frame. Tiny Planet FX provides photo editing features and other unique than others. Look at the photo above, you simply aim at the environment around you constantly, and Tiny Plane FX will perform "magic" of his! Come make your friends are fascinated with this application. VSCO photo editing application provides a filter colors are completely and sempuna. Display (UI) application VSCO also has flat-design, making it very convenient to use and easy on the eyes. Using this application also does not require skill, once you try surely the images immediately looked like it had been edited by a professional! 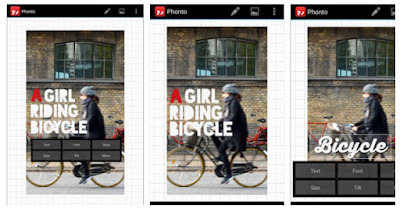 More than 200 million users across all platforms PicsArt make android applications for photo editing and image are much sought after creative community of users is growing very rapidly. With this application you find new ways to explore the artistic side of yourself when creating, sharing, and connect with these applications and social networking. According to the leading technology magazine (Mashables), the application "PicsArt will transform your smartphone image into a work of art." And Fast Company said that this application has a function similar to what you get on an expensive professional tools like Photoshop. Pixlr Express is a photo editor with fun and powerful application which allows you to quickly crop, rotate, and enhance any image, and the good news is no advertising in this app. 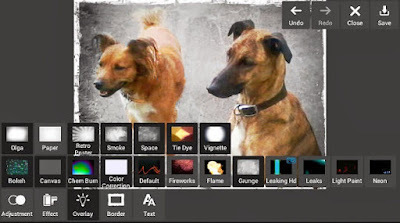 Choose from more than 2 million combinations of free effects, overlays, and borders to personalize your picture. 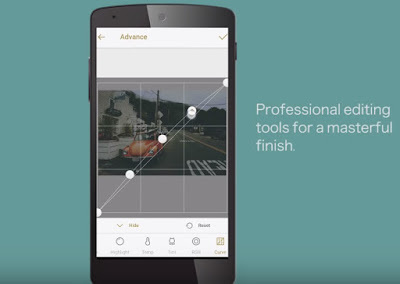 Pixlr application will make you look like a professional, even if you've never edit photos. Create an account for free and otomatiskamu Pixlr will be able to access premium content including Double Exposure with blend modes and Auto Contrast. Adobe Photoshop Express is an application that lets you use simple gestures to quickly edit and share photos from your mobile device. Get the fun with Photoshop Express, it's easy to make your photo more amazing. 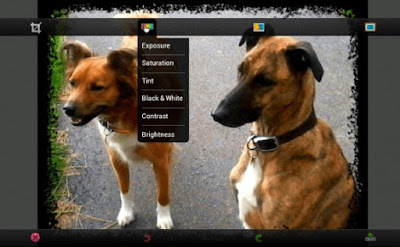 Select different effects with just one touch, or drag your finger across the screen to crop, rotate, or adjust color. 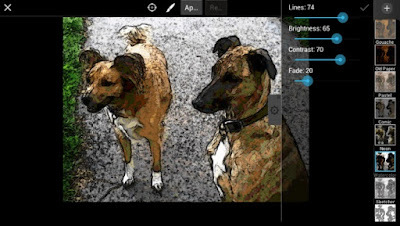 Add artistic filters like Soft Focus or Sketch. A copy of your original file is always saved, and you can undo and redo changes until you get the results you really want. PicSay is an award-winning photo editor fun. Fix color photos and add word balloons, titles, graphics, and distortion effects. All in a pleasant interface, intuitive, and easy to use. Pixlr-o-matic is a photo editing application that is fun and simple that makes it easy to quickly add style to your photos using effects, overlays, and borders that you like. 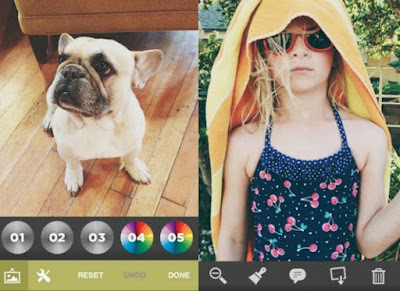 When you want to make your photos retro, grunge, clean, or seen looks stylish, Pixlr-o-matic for android facilitate you to do all that in just three simple steps. With more than 2 million combinations of editing that you can choose, you will never run out of new styles that make your pictures look spectacular. Photo Lab boasts one of the vastest collections of stylish and funny photo effects: more than 570 effects to date! 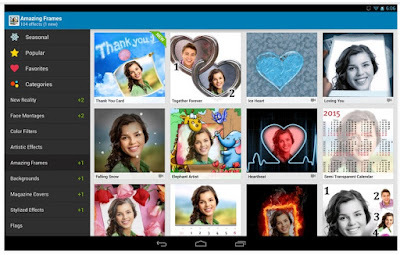 Fantastic face photo montages, photo frames, animated effects and photo filters are here for you to enjoy. Make your image look creative in seconds without using a professional editor (like photoshop) and set it as a contact icon, a wallpaper, send a signed virtual postcard to a friend or share it to any social network. "A very comprehensive photo editor and pretty much everything you could ever want to do on your phone." -LifeHacker. Aviary is a powerful photo editor which we created because we wanted a quick and easy way to edit our photos on the go with no fuss. We’ve included all the tools you need, in a super intuitive interface so you can get right to editing. Fotor photo editor is a great image editor with some image editing tools multi with more than 100 photo effects to embellish template for photo collage. Fotor photo editor has made a professional level image editing can be accessed by general users through the interface is clean and intuitive work flow. Thus 15 Photo editing application for Android. 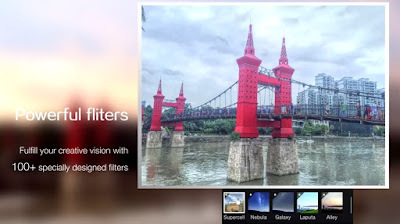 Hopefully the above application can help you to edit photos become more interesting. Do not forget to thank the author has visited this humble blog.